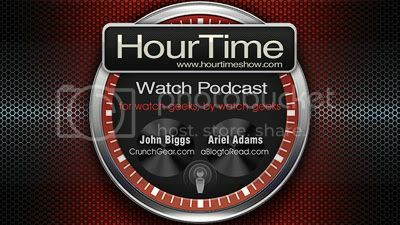 In todays show, John starts us off by not talking about a watch, we discuss Hublot's Magic Gold, John decides he is jonesing for an Omega Ploprof (a vintage or current version - whatever anyone will gve him) and we finish off the year with the A. Lange & Sohne Datograph Up/Down watch. From us to you: all the best and we will see you next year! This week, John channels his inner wookie when discussing the Jean Dunand Shabaka, decides the Cabestan Trapezium Watch is less than useful, thinks the Jaeger-LeCoultre Master Compressor Diving Chronograph GMT Navy SEALs name is entirely too long and that the Hublot Big Bang Watch For Architect Oscar Niemeyer is better than an orange hat. Today we speak on Nivarox and their min-opoly on the watch-part market, the Hydro Mechanical Horologists and their use of green goo in a watch, the Parmigiani Toric Minute Reaperter (ding) and maybe finish our 'Holliday watch guide - oligarch edition'. Come on, just sell you house and buy one - you know you want to.